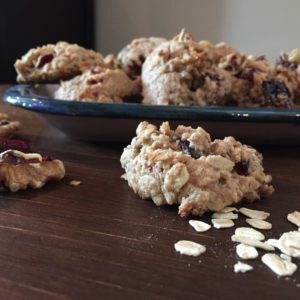 One of the recipes that helped to get me there was this Oatmeal Cookie recipe. In developing this recipe I started with a favorite from my childhood and tweaked until I found the balance that would work for me. 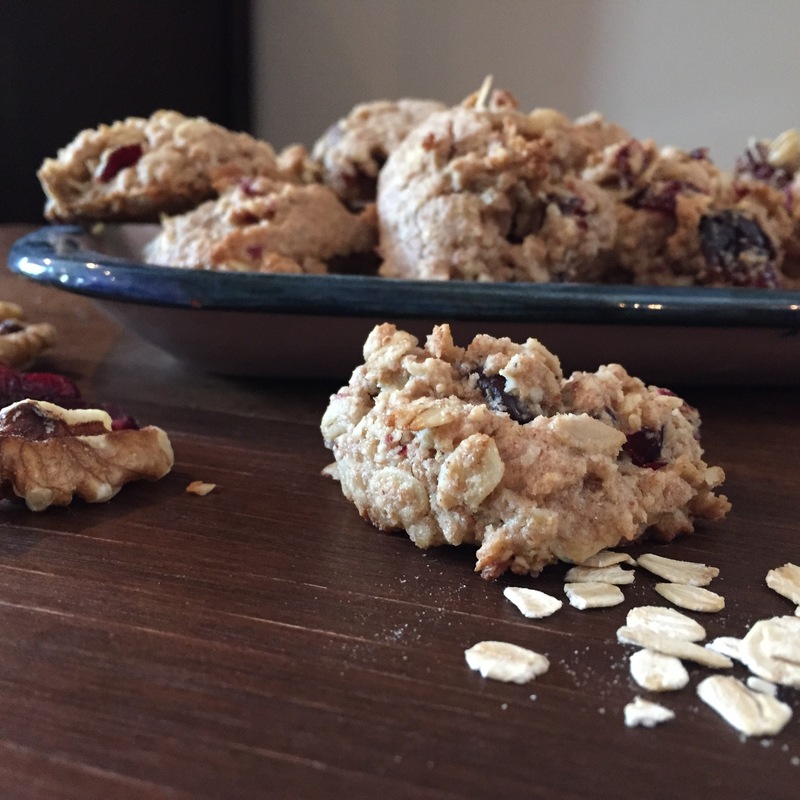 The sugar is cut in half, they are made with whole wheat flour, and they hold the benefits of walnuts and dried fruit. And the best part? They are AWESOME! I even have one friend who requests these as a Christmas gift each year! I hope that you will enjoy them as much as my family, friends, and I do and that they help you on a path to guilt-free enjoyment of food. In a food processor, cream the butter and sugar until smooth. Add walnuts and mix until they are well chopped up. Add in flour, salt, and baking powder and mix until just blended. Add oats and dried fruit and pulse once or twice, then finishing mixing in with a spoon. Spoon out small amounts, about 1 ½ Tablespoons, onto the baking sheets. Bake for 10 minutes, rotating the baking sheets at 5 minutes, if necessary. Remove from oven and cool on cooling racks (or eat one or two warm! ).